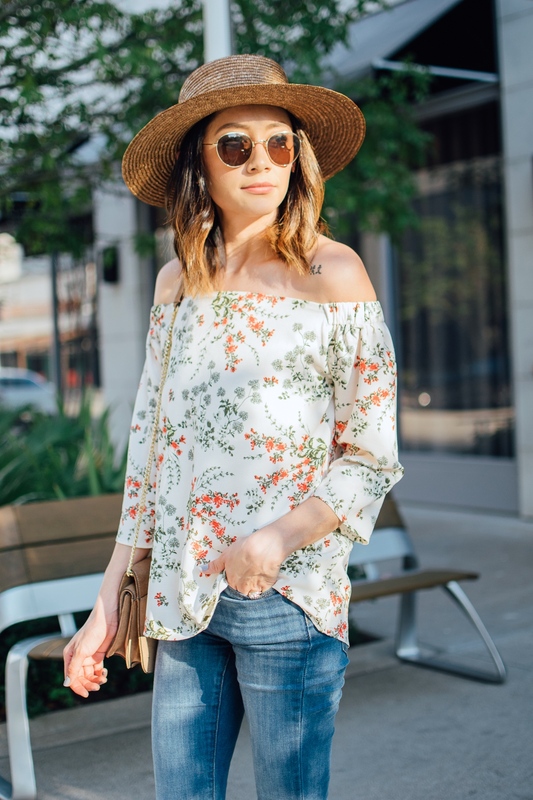 I am loving the print on this floral off-the-shoulder top. The dark green & reds make it a little less summer and more fall-ish. Which is perfect because while most people around the country are starting to feel the cool crisp air of fall, here in Houston, weather like that will be a no show till maybe mid November. So off-the-shoulder tops will be going strong till then. 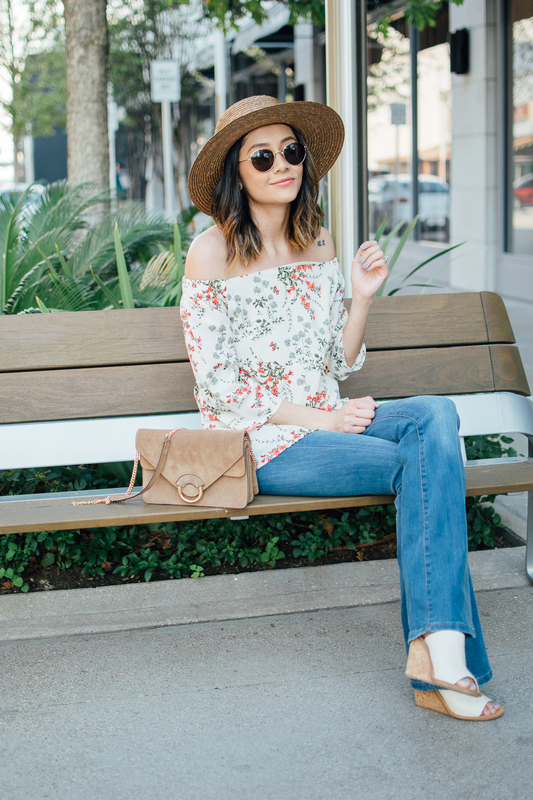 I love the way an off-the-shoulder top pairs with flare jeans. 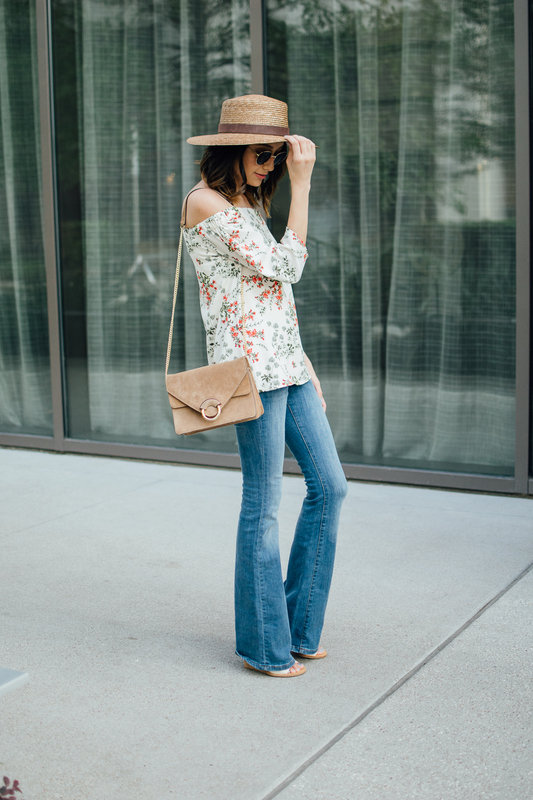 I feel like the bell bottom balances out the bare shoulders + it gives your whole look a cool 70’s-ish chic look! A hat of course is always an added bonus to any outfit if you ask me. Did I also mention that this top is only $30! I linked it at the end of this post along with everything else I’m wearing. Or you can shop it on my side bar under “New In” or “Shop The Feed”. As always, thank you for stopping by. Have a great week! I love this look on you! 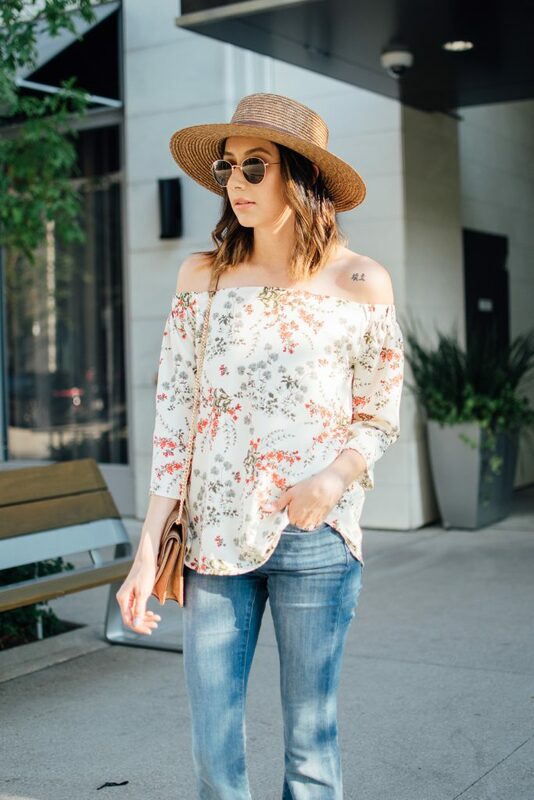 So casual and chic at the same time! I love your purse! It reminds me of the Chloe Faye… but Banana Republic is bound to be a better price. 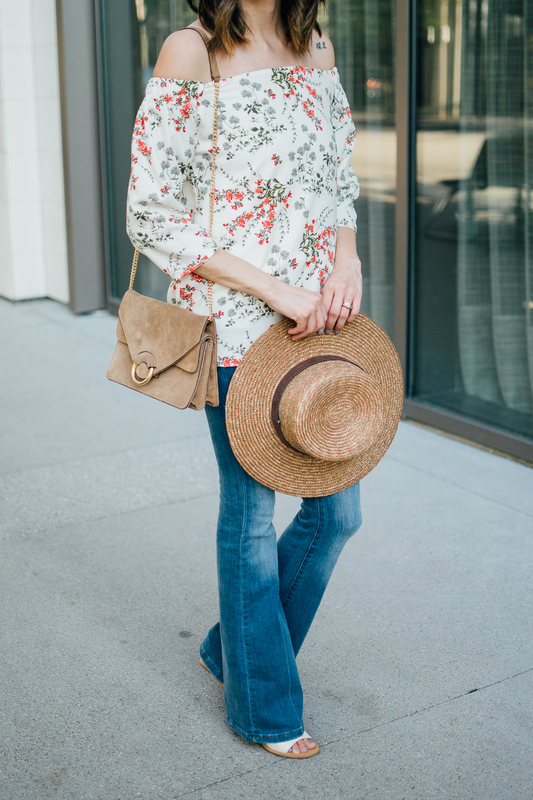 Love this top and your bag!